In 1996, composer Kenji Bunch was asked to write a short solo violin piece for his friend Ittai Shapira, a critically-acclaimed Israeli violinist, who was to play several Stradivarius violins in a concert in London. “Aria for solo violin” is the opening work in Serenata of Santa Fe’s “Harmonic Divergents” concert at First Presbyterian Church on January 15. It will be played by David Felberg, an instructor of violin and director of the Contemporary Chamber Ensemble at the University of New Mexico. One of six musicians participating in the performance, Felberg also collaborates with cellist Dana Winograd and double bass player Frank Murry to present two works by composer and violinist Mark O’Connor: “Poem for Carlita” and “Appalachia Waltz.” Felberg and Murry tackle “Suite, from Op. 39” for violin and double bass by Reinhold Gliere, an award-winning Russian composer who taught at the Moscow Conservatory. “Harmonic Divergents” also showcases the talents of horn player Scott Temple, bassoonist Toni Lipton and clarinetist Keith Lemmons in works by Carl Nielsen and Richard Strauss. 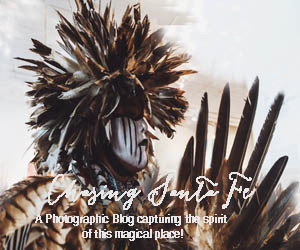 “Experience the unexpected with this gathering of unique compositions,” adds Serenata of Santa Fe’s artistic director Pamela Epple. 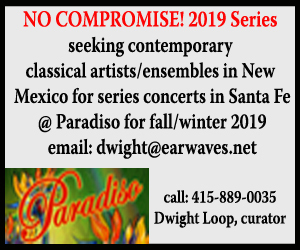 Serenata of Santa Fe presents "Harmonic Divergents"